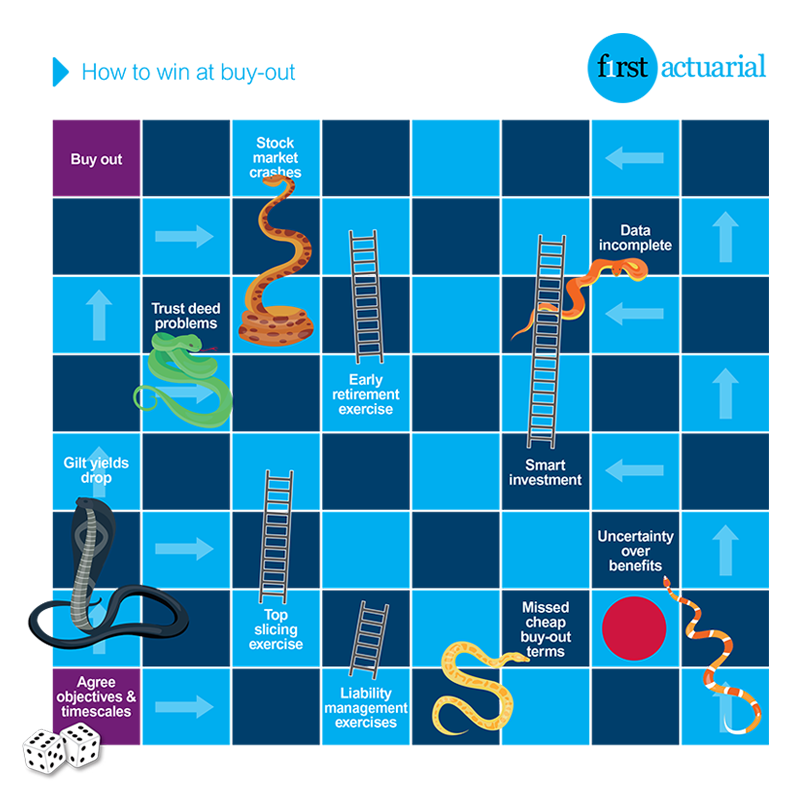 Bonds – A licence to kill? 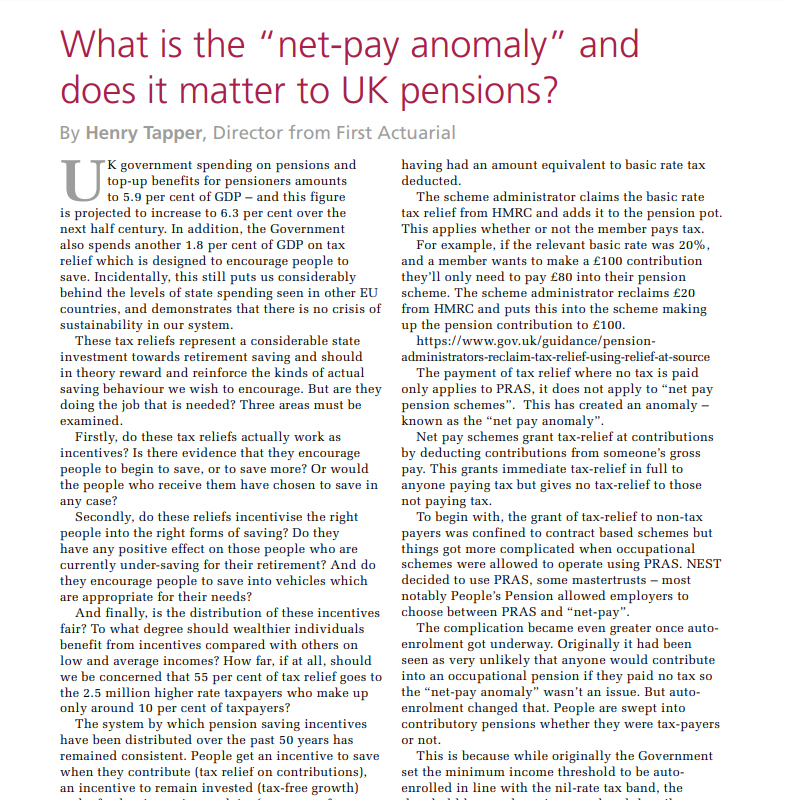 What is the ‘net-pay anomaly’ and does it matter to pensions? 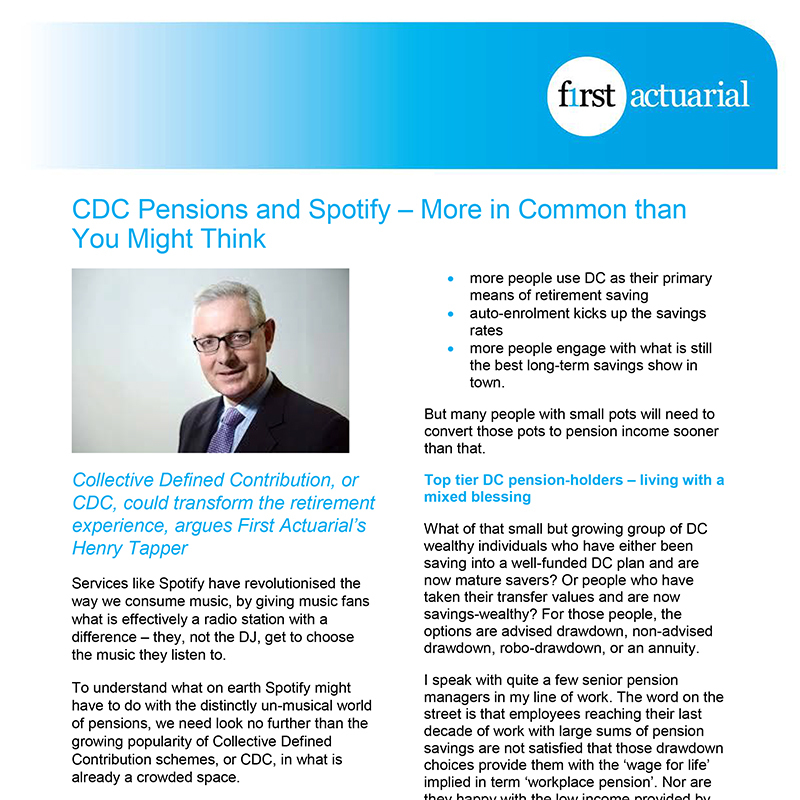 Collective Defined Contribution, or CDC, could transform the retirement experience, argues First Actuarial’s Henry Tapper. 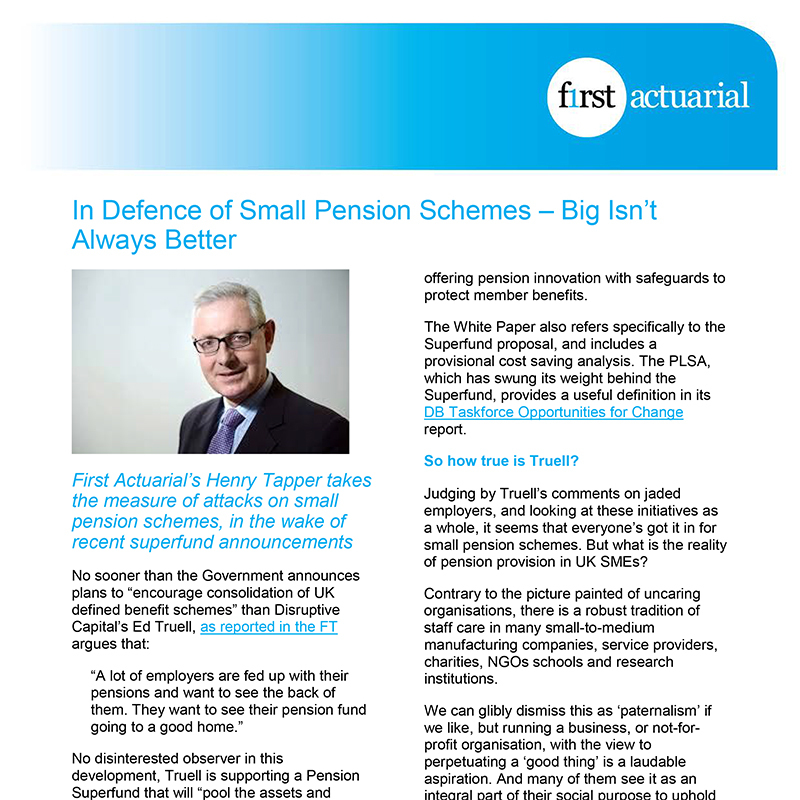 First Actuarial’s Henry Tapper takes the measure of attacks on small pension schemes, in the wake of recent superfund announcements. 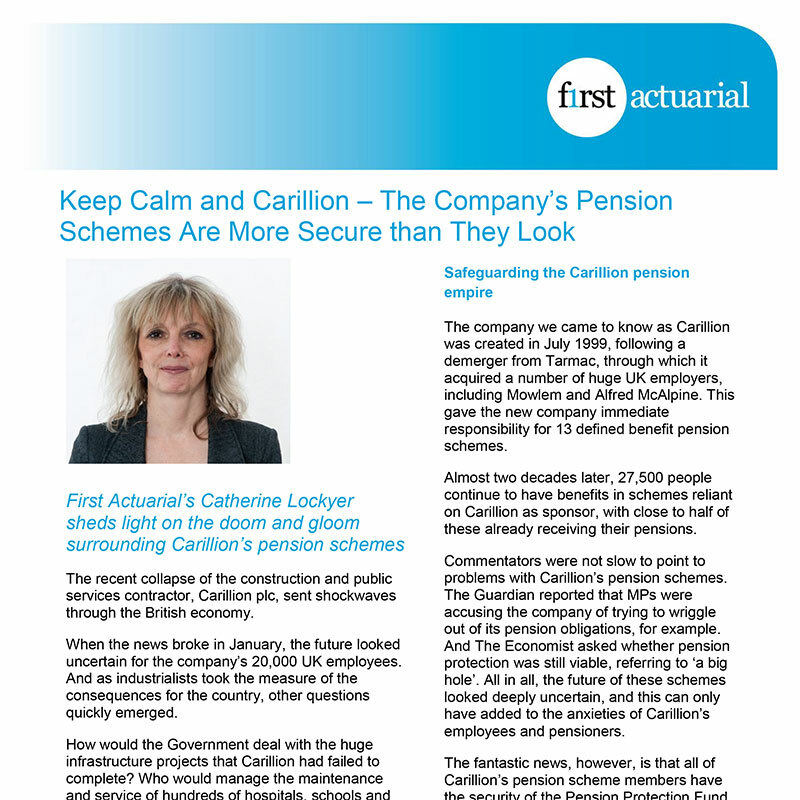 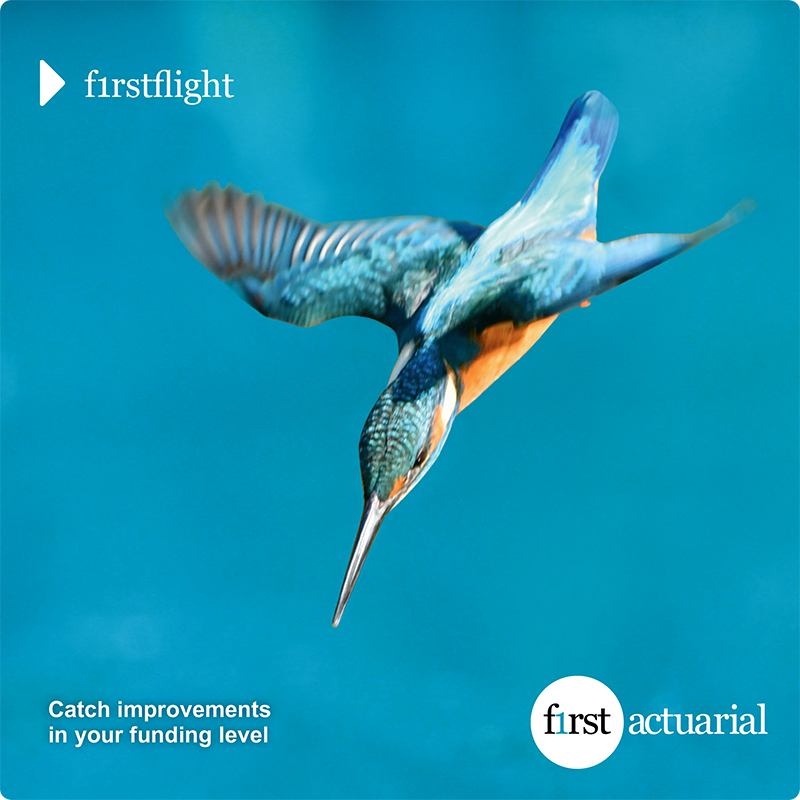 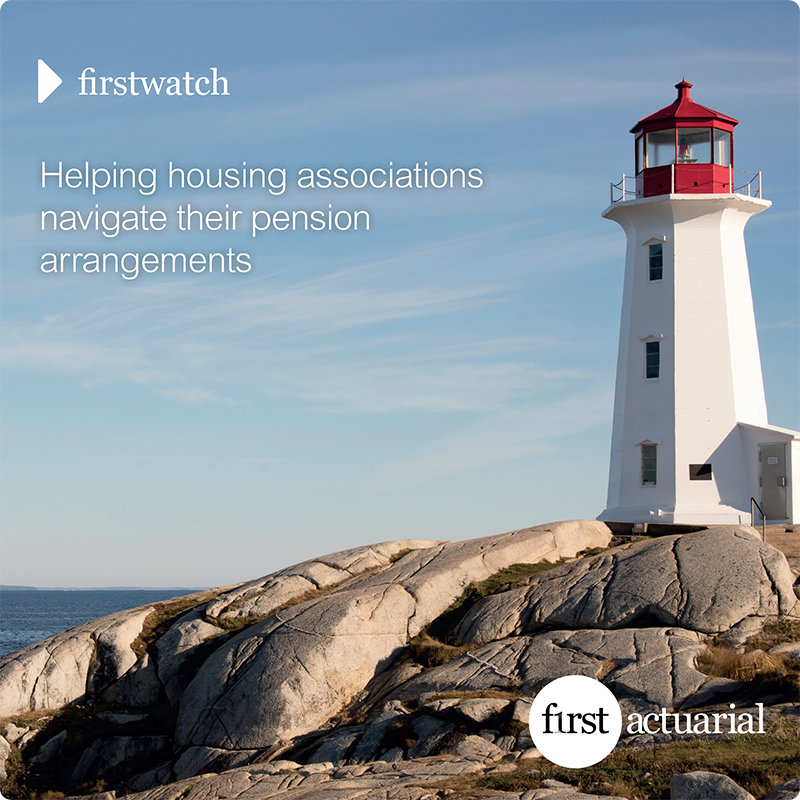 First Actuarial’s Catherine Lockyer sheds light on the doom and gloom surrounding Carillion’s pension schemes. 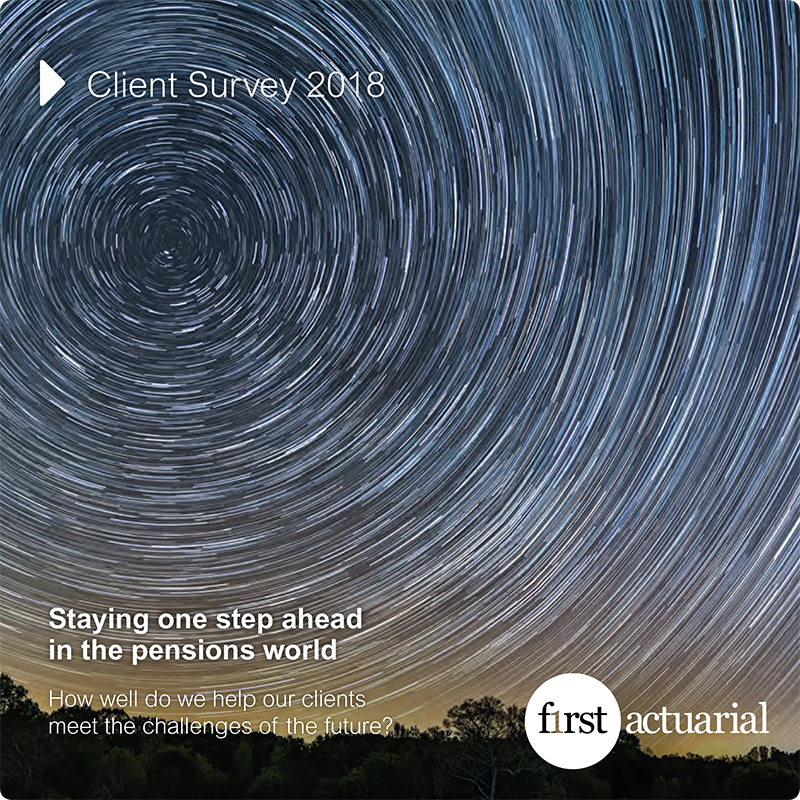 The Charity Commission claims that of the UK charities running a pension deficit, 69% kept trustees in the dark about their true financial position. 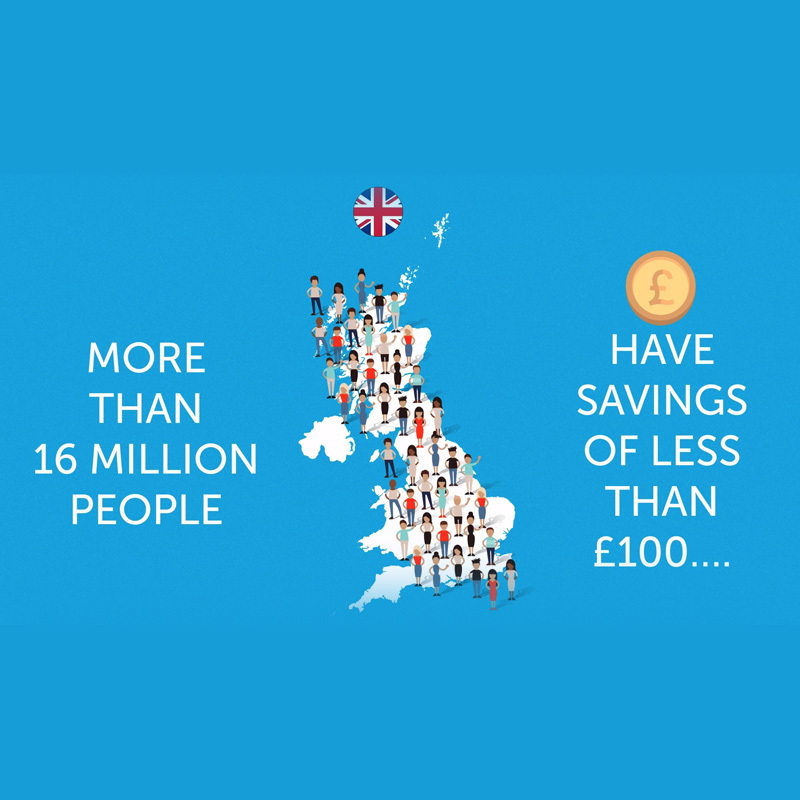 Our study of the top 100 charities paints a rosier picture. 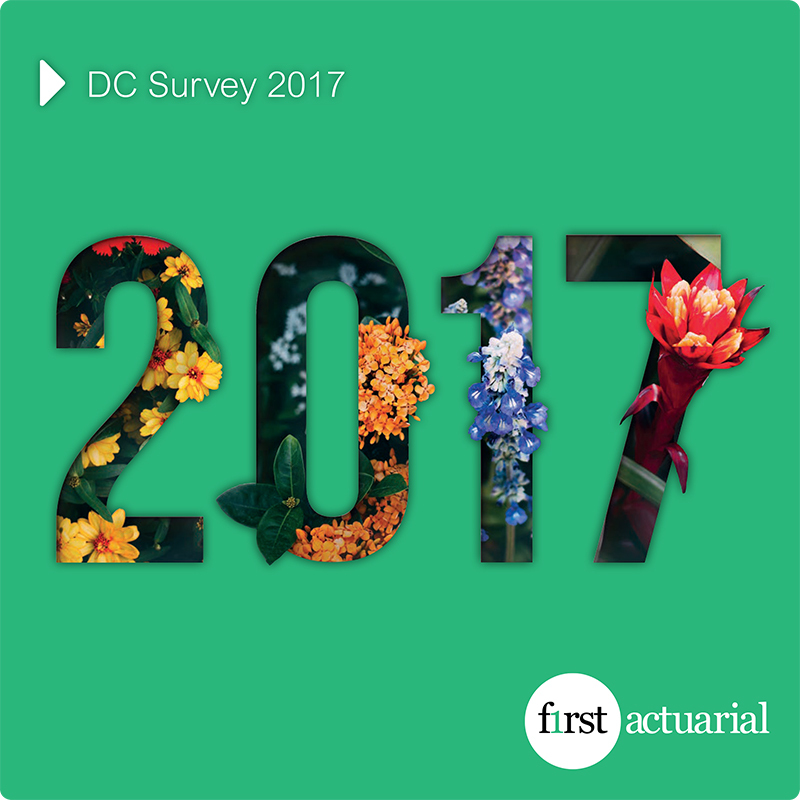 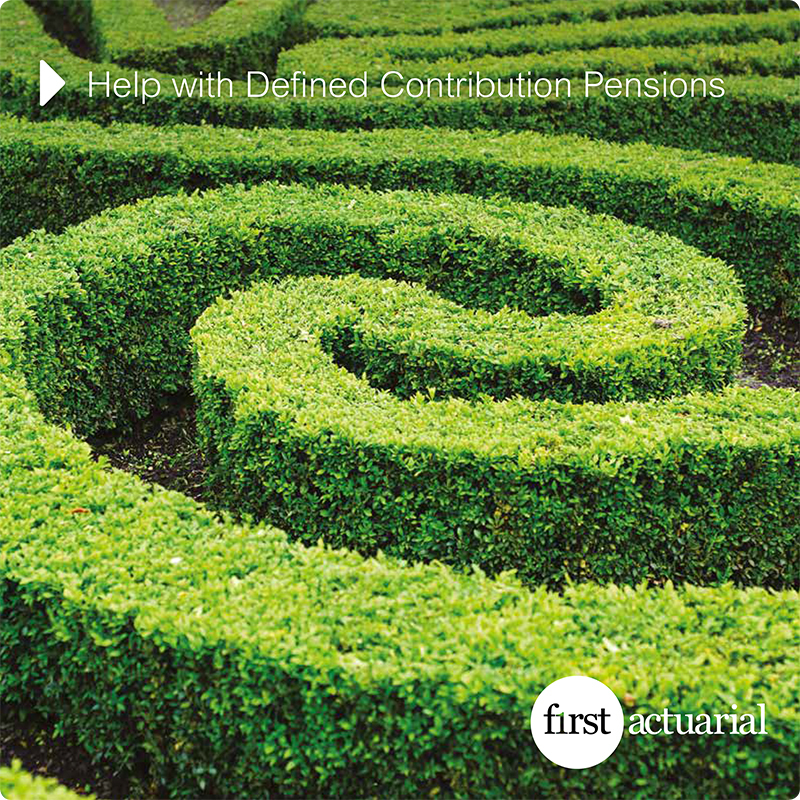 Since running our first defined contribution survey last year, we’ve received very positive feedback, with clients saying it has helped them put their own experiences into a broader context. 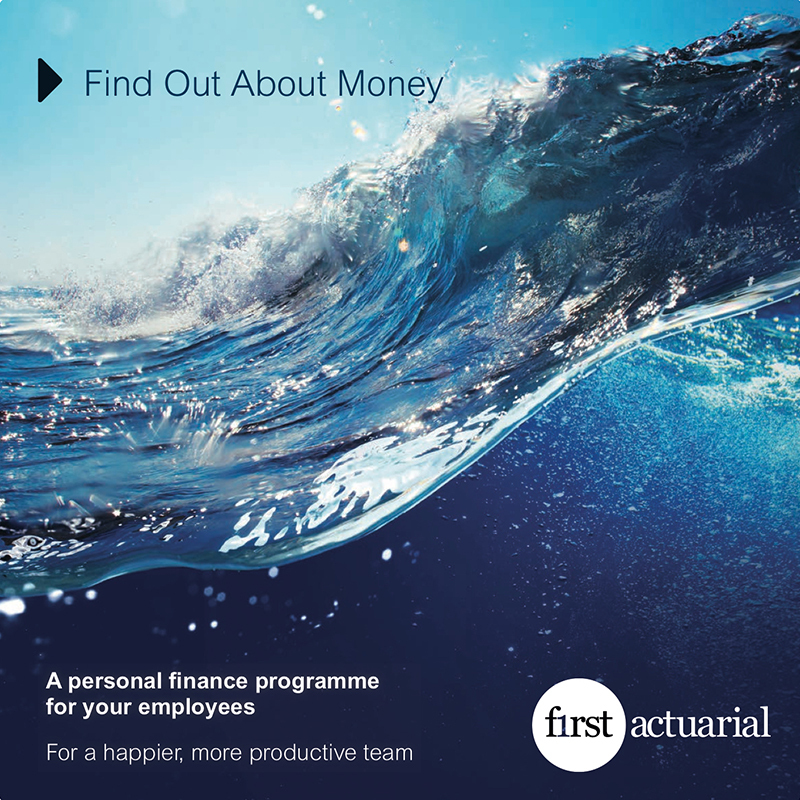 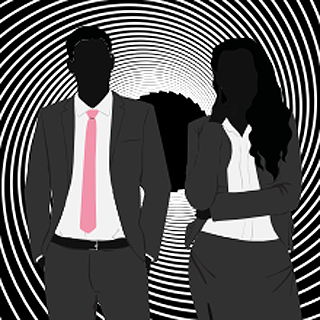 Improve staff retention and productivity by lifting away your employees’ financial anxieties, with our tailored financial education programmes. 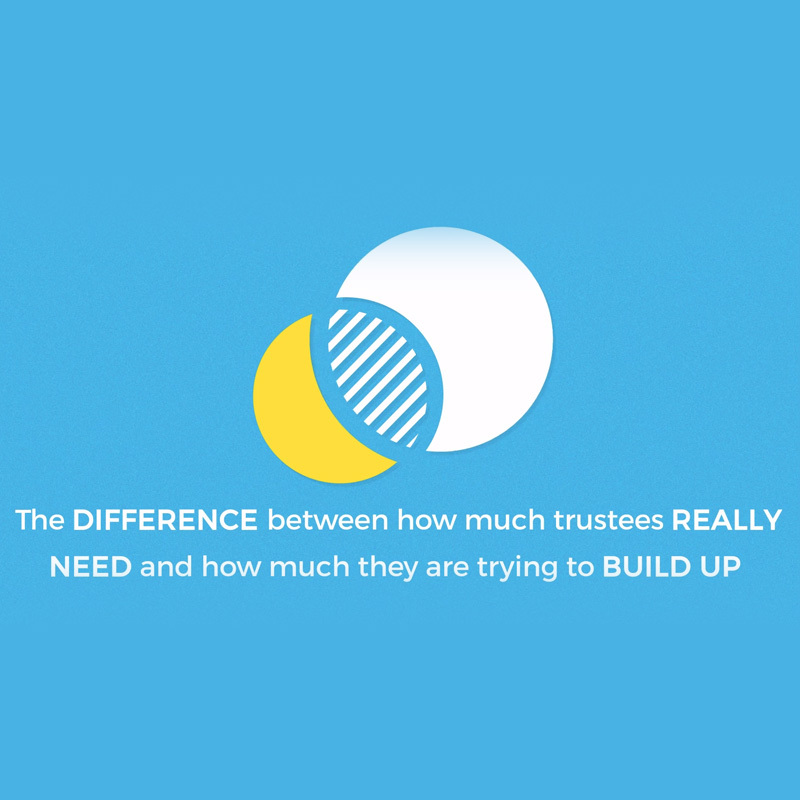 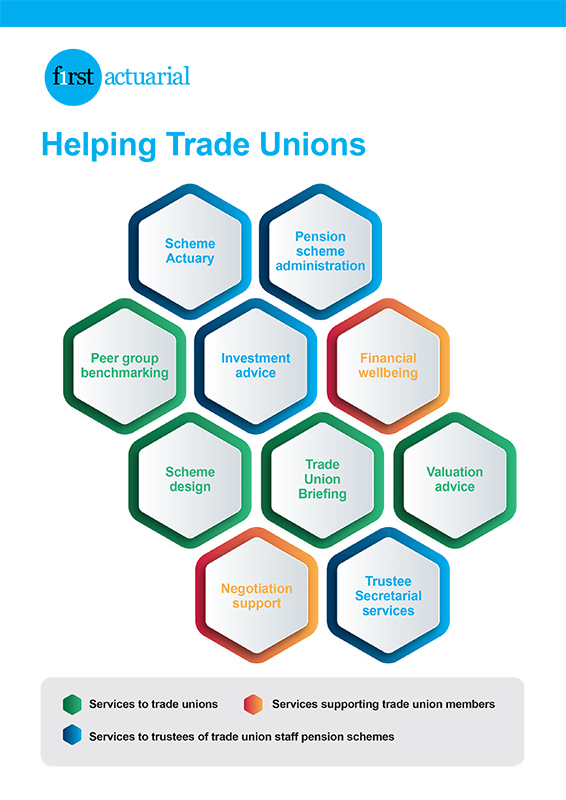 To make sure you’re not paying too much money into your pension scheme, here are 5 questions employers should ask their trustee board. 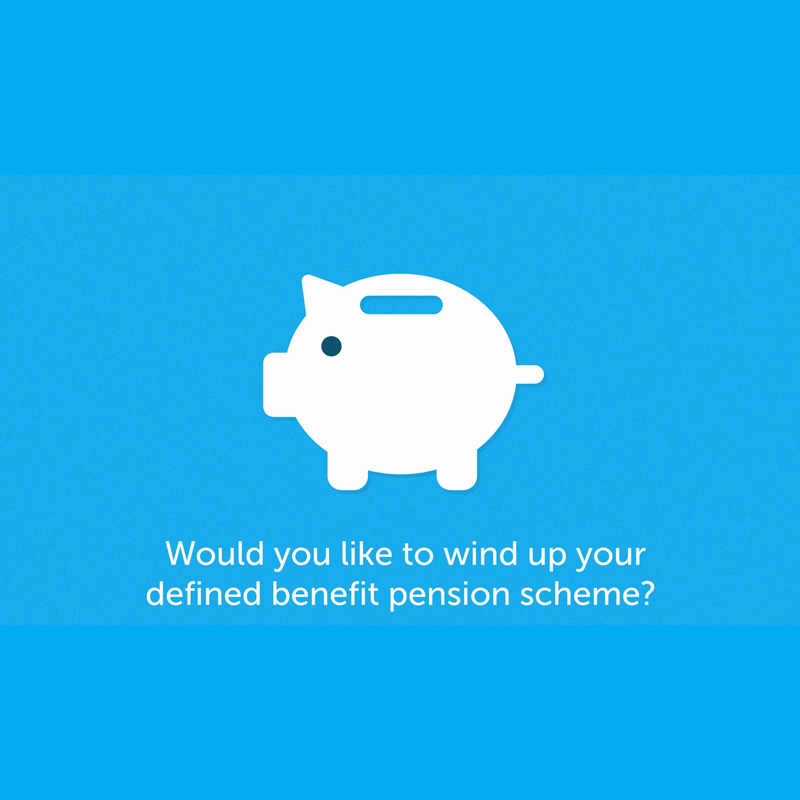 Planning to Wind-Up Your Defined Benefit Pension Scheme? 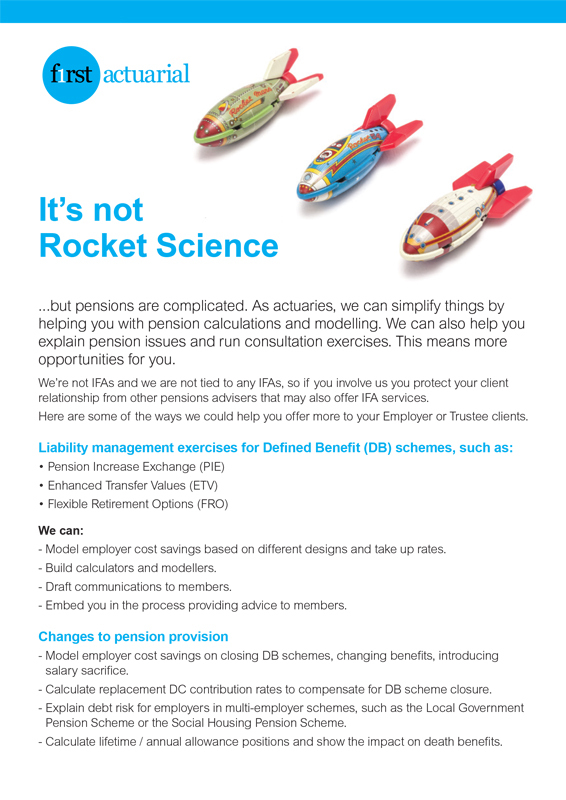 How to work out the right time to wind-up your DB pension scheme, and plan ahead if that right time isn’t now. 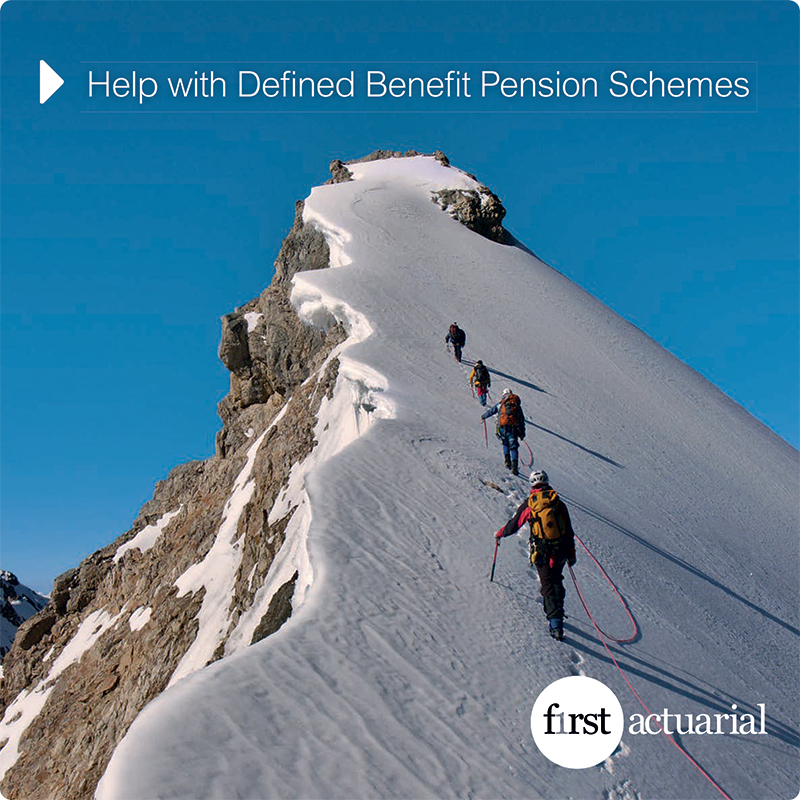 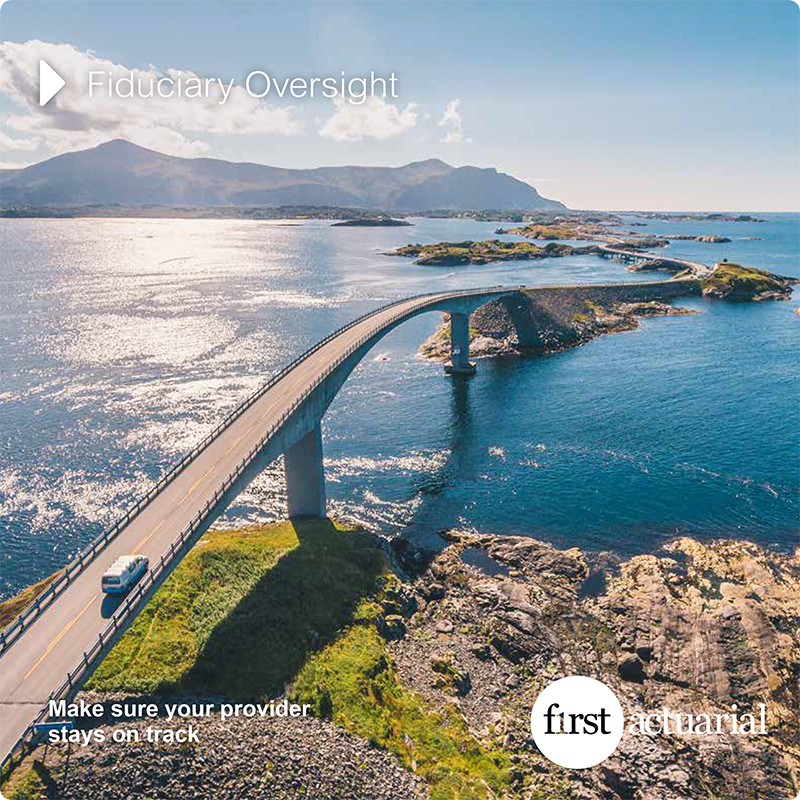 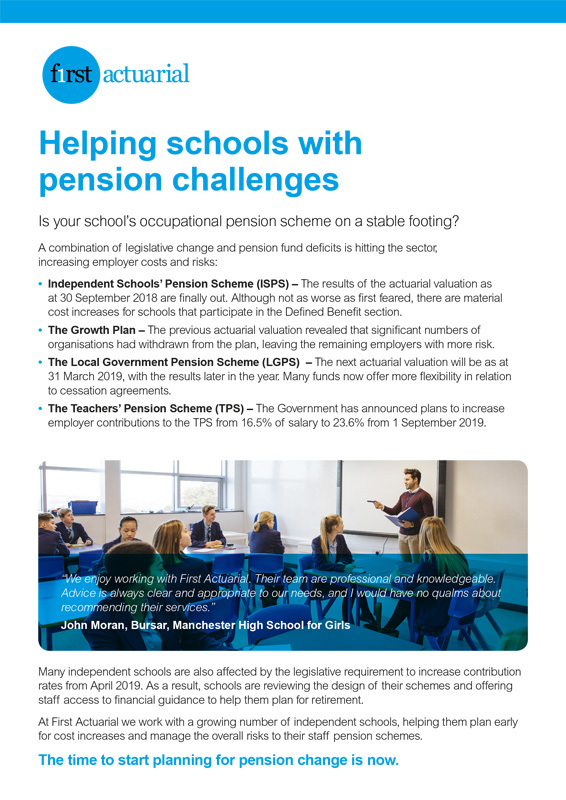 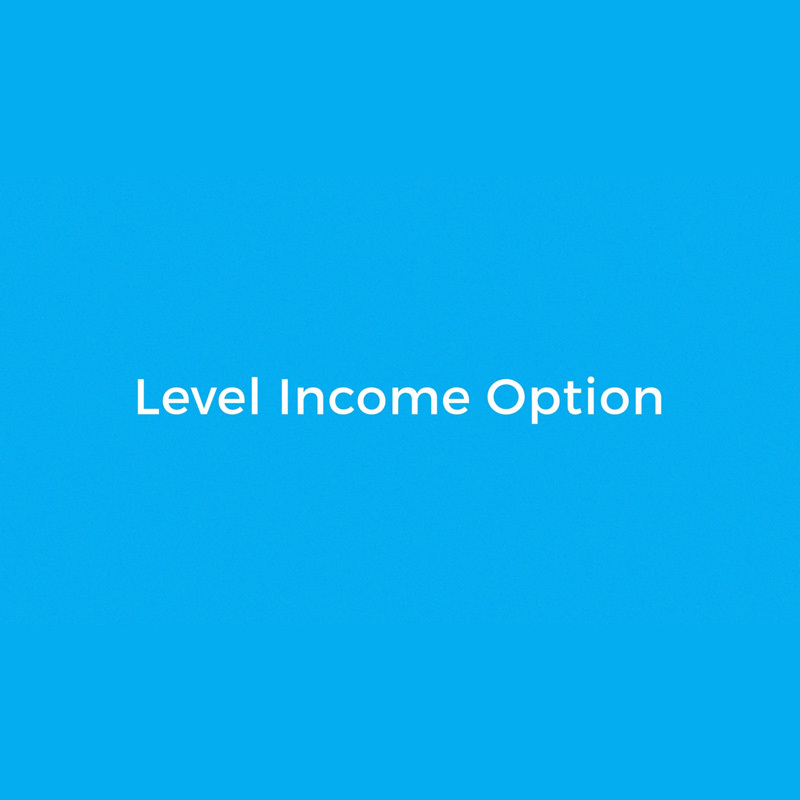 A level income option gives members flexibility to reshape pension benefits around their state pension age, while reducing the risk in your DB pension scheme.